Last year Hilton Als curated an exhibition of paintings and drawings by Alice Neel for David Zwirner in New York City (the show then traveled to Victoria Miro in London). 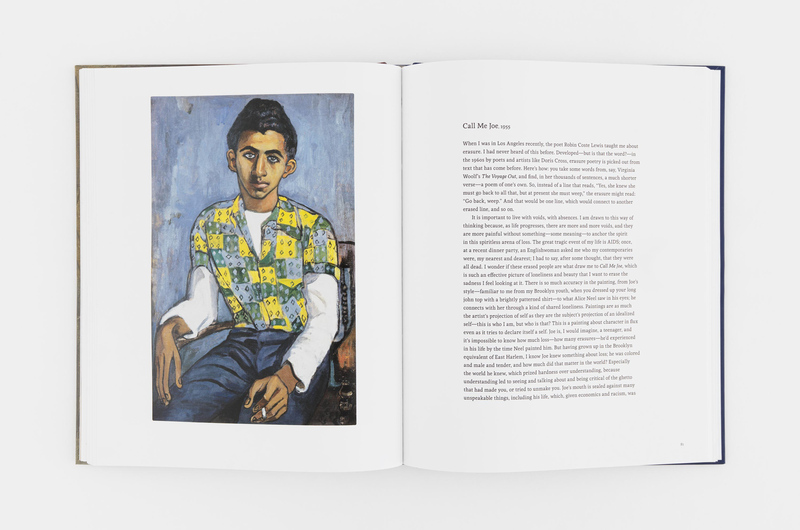 The catalogue of paintings is accompanied by Hilton’s subjective texts on art, race, gender, Neel, and the city. HILTON ALS—ALICE NEEL, UPTOWN, forward by Jeremy Lewison (New York: David Zwirner Books, 2017). Available now. From top: Alice Neel, Georgie Arce, 1955. Alice Neel, Uptown layout (Alice Neel, Call Me Joe, 1955). Alice Neel, Mercedes Arroyo, 1952 (detail). Images courtesy of David Zwirner. This entry was posted in ART, BOOKS/PERIODICALS, LITERATURE/POETRY and tagged Alice Neel, Alice Neel Uptown (Als), David Zwirner, Hilton Als, Jeremy Lewison, Victoria Miro gallery on February 27th, 2018 by Barlo Perry.